No matter where you live in the country, politics is a pervasive and constant part of our culture. If you’re contemplating a role in government where you serve an elected official, or perhaps you’re already working for one, these helpful strategies will help you navigate what can be tricky and unexpected waters. 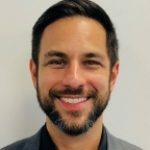 In my role as a public affairs specialist, I am in a unique position serving as the sole communications and public engagement staff member on a small team of six people. As a collective staff, we serve a nine-member publicly elected statewide education board. Because my role is focused on communicating internally and externally with education stakeholders, I am always cognizant of my professional actions in order to ensure transparency. It is important to remember that your work is not about you. You are representing and working on behalf of the elected member who you serve. While you can discuss your thoughts and opinions with your co-workers, ensure that everything you write and communicate is in the voice of that elected representative. This means that you will need to spend time learning about specific positions the person has taken on certain issues and/or specific causes or efforts strongly supported by the elected official. If you work in government and your boss is an elected official, you can breathe a sigh of relief now that most of the elections around the country are in the books. Election time often brings an uncomfortable quandary for most staff members of elected officials. For instance, I live in a particular section of the city that had a member of our education board up for election this year. Working in communications, I am often present at education and government meetings around the city and I often run into candidates for public office. My tact is always to avoid contact as much as possible. When friends and family ask me about upcoming elections, I always direct them to places where they can find information about the candidate but never provide advice in any way, shape or form. At the end of the day, the choice to work in a government role for an elected official should ultimately be about public service. I specifically moved five years ago to find professional opportunities where I could serve others. It is with this mindset that I approach my work. It is key to remember that your elected official earned the role based on constituents who cast their ballot. The elected official earned that right to represent the needs and concerns of the public, and you are an individual hired to help that person carry out their mission. One of the biggest challenges in my role is that I craft messages for a collective board and not for one specific person. However, each elected official comes to the role with a slate of agenda items that remain important to particular constituents. The individual elected official’s priorities are just that: priorities for that individual. I keep my focus on what policy issues the board as a whole is focused on. If you are in a role where you work for a sole elected official, remember that you signed on to work on items that are important to that person. Again, it is not about your preferences or what you would like to see accomplished. It always circles back to the elected official. 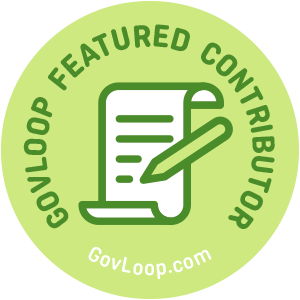 Paul Negron is part of the GovLoop Featured Contributor program, where we feature articles by government voices from all across the country (and world!). To see more Featured Contributor posts, click here. I loved reading this piece, Paul. I think you present an interesting and important perspective as someone working alongside elected officials. Others similar to you should heed your advice, especially as it pertains to keeping constituents central to your mission.